Learn how to safely massage your baby, and build a beautiful bond. Ease painful wind, colic and constipation. This is a 5 week nationally accredited infant massage course for parents – the ONLY one of it’s kind in Australia. Category: Infant Massage Classes. Tags: Baby Massage Classes, Engaging with baby, Infant Massage. The First Touch Infant Massage Program runs over a series of 5 weekly classes, from 9.30-11am. There is plenty of time for a cuppa and a chat, as well as feeding and settling baby before we get into the hands-on element of the class. This is a glimpse of what we will cover during the program: Ideal positioning for baby, asking baby if they are ready for massage and knowing when they have had enough, baby’s behavioural cues, how massage may assist with wind & colic, adapting massage for your growing child, parent relaxation, what oils to use. Morning tea including nutritious & yummy treats! This course will run from THE WORKSHOP @ YOUR BODYWORKS CHIROPRACTIC CLINIC, 112 Thistle St, Gordon Park. Parking is not a problem with ample free on-street parking available in the surrounding streets. 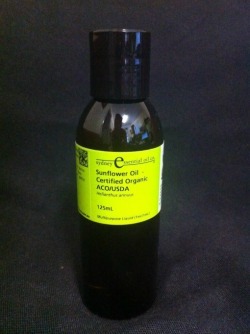 Organic massage oil especially for baby’s sensitive skin is included in each infant massage package. Please advise of any known allergies or irritations. Something you need not worry about is baby crying or disturbing the class. Each baby is sure to express themselves via a cry at some stage during the 5 week course, it’s just what babies do. Babies also require nappy changes, feeding and comforting, so there is no need to feel uncomfortable about taking care of your baby’s needs or your know needs throughout the class. If your baby is napping or just isn’t up for massage during class time, I have extra demonstration dolls which will enable you to practise the new massage strokes within the class. Then you are all set to have a go with the new material at a time when baby is more receptive to massage.